A staggering number of Americans take antidepressant medications, as many as 1 out of every 12 adults, the Centers for Disease Control and Prevention (CDC) reports. Prozac, or fluoxetine in its generic form, is a popular antidepressant medication prescribed to treat major depression, panic disorder, and obsessive-compulsive disorder (OCD), among other issues. Prozac is a selective serotonin reuptake inhibitor, or SSRI medication, that alters the brain’s chemistry by maintaining higher levels of serotonin, which is one of the naturally occurring, pleasure-inducing neurotransmitters. By stopping receptors from reabsorbing this neurotransmitter as quickly, more of these “happy cells” are present in the brain at one time, helping individuals to remain emotionally balanced and feel less depressed and anxious. Alcohol can have similar effects as it also acts on some of the neurotransmitters responsible for feeling pleasure, increasing their levels in the brain as well. Alcohol may therefore be used as a form of self-medication for individuals who feel depressed and may seem to temporarily relieve symptoms of anxiety and depression. Regularly drinking alcohol as a method of coping with depressive symptoms, however, may increase the odds for developing a drinking problem that may manifest into addiction. Around 20 percent of Americans who suffer from a mood or anxiety disorder like depression also battle a substance use disorder involving alcohol or illicit drugs, and the reverse is also true, the Anxiety and Depression Association of America (ADAA) publishes. Alcohol should never be mixed with an antidepressant medication like Prozac, as both substances may amplify the effects of the other, increasing the risk for overdose and other potentially dangerous side effects. Drinking alcohol while taking Prozac can also interfere with treatment for depression and/or anxiety. Alcohol may temporarily seem to elevate moods and decrease depressive symptoms; however, it can actually make these symptoms worse when it wears off. 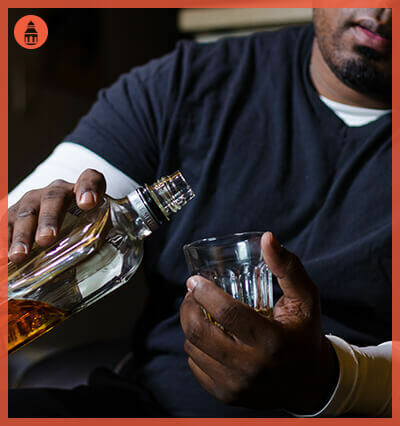 Depression can be amplified by the effects of alcohol, and Psych Central publishes that mixing alcohol with depression may actually increase a person’s risk for attempting or completing suicide. Alcohol can lower a person’s inhibitions, impair judgment, and increase the odds for potentially violent or self-harming behaviors. When mixing alcohol with Prozac, it may not take as much alcohol to create a higher level of intoxication. Individuals may commit acts that are out of character for them and have no knowledge of doing so the next day. The Pharmaceutical Journal reports that mixing an SSRI with alcohol can cause a higher level of impairment and exacerbated side effects than either substance alone may cause. Alcohol is a central nervous system depressant, which lowers blood pressure, heart rate, body temperature, and breathing levels. Fluoxetine also interferes with some of these vital functions. If someone takes fluoxetine, they may suffer from an overdose, which may be indicated by an irregular heart rate, nausea, vomiting, drowsiness, tremors, and even seizures in some cases, the Western Journal of Emergency Medicine (WestJEM) reports. An overdose on alcohol is often called alcohol poisoning, and many of the same symptoms are observed. When these two substances are combined, the side effects are exaggerated, and an overdose may happen more quickly and at lower doses. Over 30 percent of the emergency department (ED) visits involving an antidepressant drug like Prozac in 2011 also involved alcohol, the Drug Abuse Warning Network (DAWN) reports. Essentially, no one should ever combine Prozac and alcohol. If you are prescribed Prozac, discuss any other medications or substances you regularly consume with your doctor beforehand. If you abuse these substances by combining them, serious health effects can occur, and prompt treatment is needed. Are antidepressants addictive in nature? Antidepressant drugs are mind-altering, meaning that they change brain chemistry and improve mood. In time, the brain can get used to these changes and rely on the drugs to illicit good feelings. Without antidepressants, after dependence has formed, individuals may experience low moods and a return of depression. This can make it hard to control dosage and may encourage a person to keep taking antidepressants to feel good. A loss of control over how much and how often drugs are taken is a sign of addiction. That being said, people don’t generally abuse antidepressants for recreational purposes; rather, a physical dependence may form over time so tapered withdrawal may be necessary. So in short, yes, antidepressants can be addictive in nature, though they are considered to have a low addictive potential. What drugs are similar to Prozac? Are there withdrawal symptoms associated with Prozac? Stopping Prozac suddenly, or “cold turkey,” may also cause a person to experience a relapse of depression, insomnia, and suicidal ideations. What other medications should you avoid taking with alcohol? Any medication that acts as a central nervous system depressant should not be combined with alcohol. This includes sleep aids, tranquilizers, painkillers, and sedatives. Benzodiazepine medications, such as Xanax (alprazolam), Ativan (lorazepam), and Klonopin (clonazepam), and opioid drugs, such as Vicodin (hydrocodone/acetaminophen), OxyContin (oxycodone), and Dilaudid (hydromorphone), should not be taken in combination with alcohol. Both over-the-counter (OTC) medications and prescription medications should be taken with caution and labels read closely to discern any potential side effects for mixing with alcohol or other substances. NIAAA (National Institute on Alcohol Abuse and Alcoholism) warns that common cold medications, allergy medicines, as well as medications for arthritis, attention deficit hyperactivity disorder (ADHD), epilepsy, anxiety, angina (chest pain), diabetes, enlarged prostate, cough, blood clots, high blood pressure, heart burn and indigestion, high cholesterol, infections, muscle pain, seizures, mood stabilization, nausea, depression, motion sickness, and pain can all interact negatively with alcohol. When in doubt, check with a trained medical professional before drinking alcohol while taking medication. What health risks are associated with long-term Prozac use? Prozac, and other SSRI medications, may cause heart rhythm irregularities when used on a long-term basis, U.S News publishes. Regular and prolonged use may also raise the risk for developing type 2 diabetes. Blood clotting may be impaired by Prozac use, putting people at an elevated risk for uterine or stomach bleeding. Prozac can also cause a person to suffer from involuntary movements, tremors, loss of fine motor skills, sexual dysfunction, increased suicidal thoughts, and significant anxiety. Chronic use may lead to a return of depressive symptoms even while still taking the drug or a relapse when Prozac use is stopped. Prozac is intended for short-term use, and it is ideally used in conjunction with other therapeutic techniques, such as comprehensive therapy.